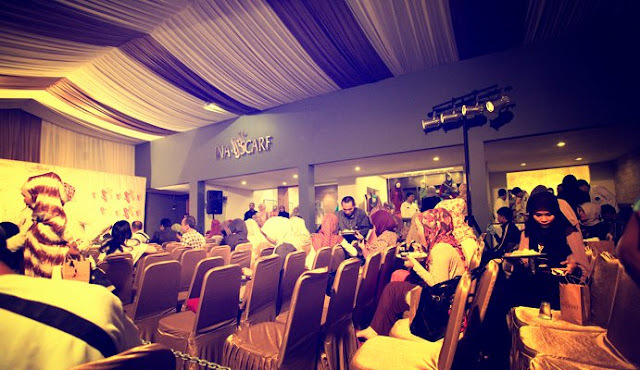 The Opening Event that held on 22 July 2011 at our showroom Jl. 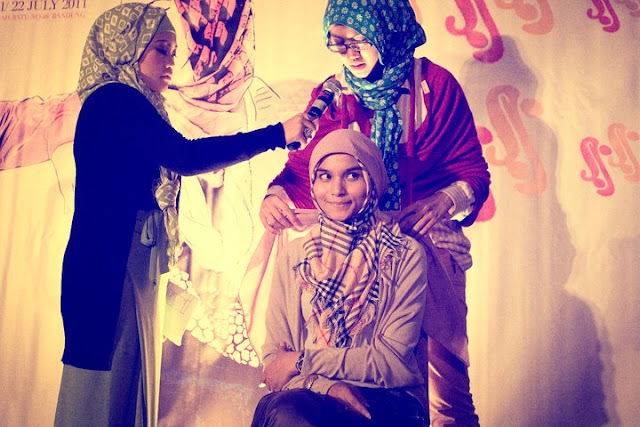 Buah Batu No. 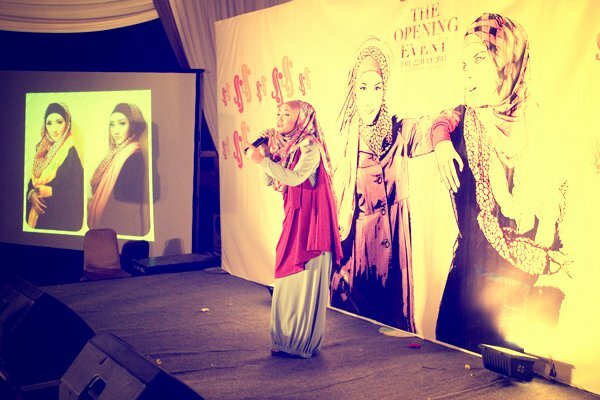 48 Bandung was an ultimate celebration for us, we fill the event with special features like Henidar Amroe, Scarf demo, singing performance by Fitri Widjayanti and Ina Rovi spontaneously perform at our opening stage. 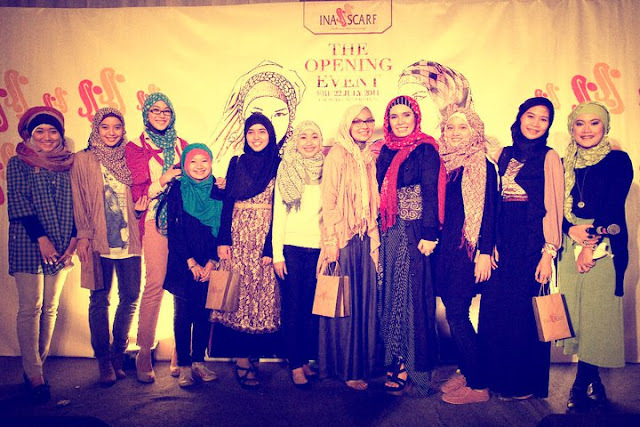 The cause of this event is to spread the scarf style we've created inspired by Indonesian muslimah for these past few years. 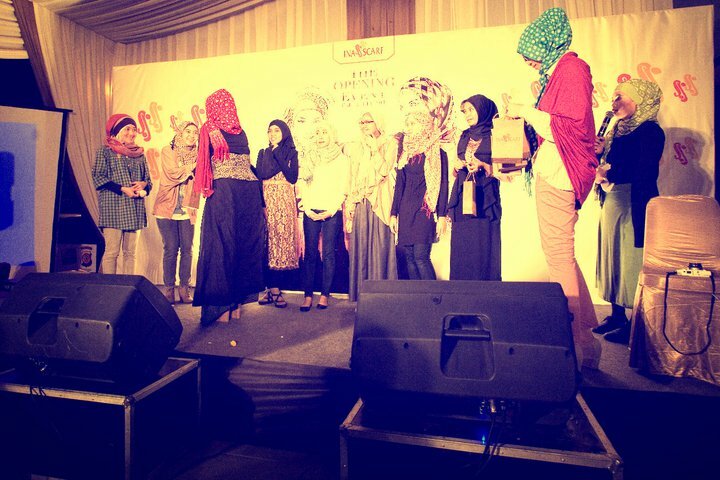 Irna Mutiara gave her speech about why this brand was born, it was a simple idea that she have with her husband to make a company to awaken the local craftsmen of west java to keep innovating with the touch of certain image they want to spread, after all she is the famous Indonesian muslim designer, her achievements with Irna La Perle is undeniable. 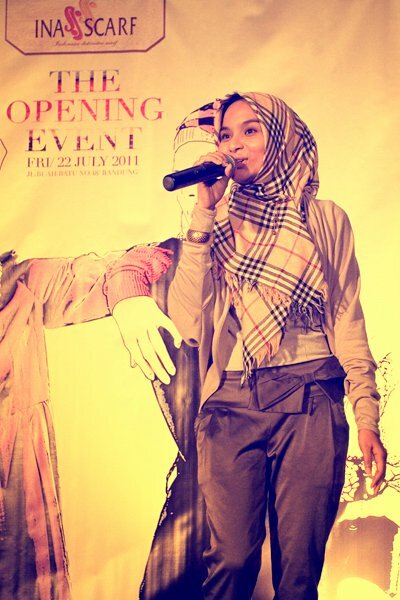 Her husband, Riznal M Nur is the owner of Ina's Scarf and Irna herself as the founder and principal designer. It was a great collaboration between fashion and business. 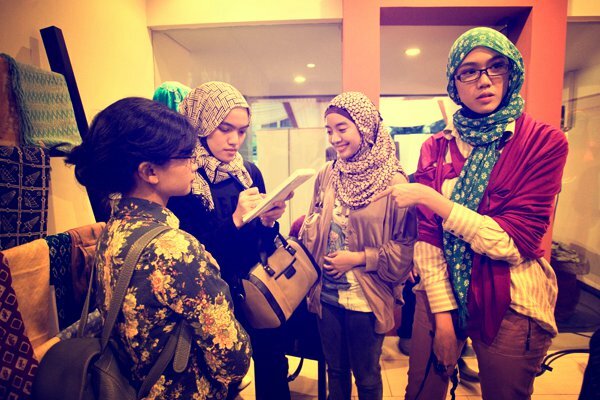 Ina's Scarf is Indonesia's distinctive scarf. so it's all 100% Indonesia, the local movements is on their way to spread goodness for the world. The Opening Event was a bis success, we've reach about 1000 guest for that day at our showroom and it was our pleasure to help them get their goodies and shop right.